There are approximately 11,000 business jets in the world-wide fleet made up from 5 categories. The five categories are based on several criteria, gross take off weight, range and cabin space. The largest of these being heavy and large cabin jets. The heavy jets are based on or converted into business use from airliner aircraft: large cabin jets are designed and built with this purpose in mind. The super mid-size jet is the elite of the business class jets. Mid size jets are suitable for transcontinental flight. Light jets are the staple of the business aircraft industry. Very light jets are suitable for small airport access. Heavy and large cabin jets are suited for large numbers of passengers. 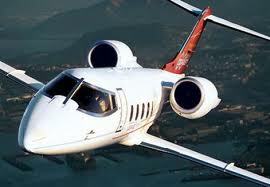 Heavy jets are mainly utilized for large groups of passengers such as sports teams or celebrities with large entourages. Heavy jets will offer amenities such as living rooms, bedrooms, work spaces, full service galleys and lavatories with showers. With a 6,000+ range, they are well suited to intercontinental flight in the ultimate of luxury. Examples of these are the Boeing Business Jet line and the Airbus. 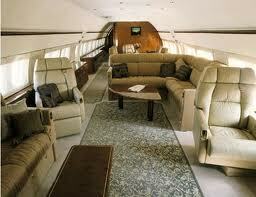 Large cabin jets offer less in the way of amenities for a like number of passengers but can be just as luxurious. Also capable of similar range, they offer a comfortable way to experience transcontinental flight. Examples of this class of jet are the Bombardier Global, the Dassault Falcon 7x or the Gulfstream G500. Super mid-size jets are the quick way to get there in luxury. Capable of high altitude, speed and the ultimate in range, these aircraft also offer wide body comfort offering room to move around. Outfitted with a robust engine system, this is the way to arrive quickly in luxurious comfort. Some examples of this class are the Dassault Falcon 900DX, the Cessna Citation X, Embraer’s Legacy 600 and the Hawker 4000. The mid-size jet offers long range for a large group of people. Built for transcontinental flight with a range of 2000+ miles, these aircraft are built for long hours of flight for a large group of passengers. These aircraft are well suited for business or corporate aircraft applications. Some examples are Cessna’s Citation Columbus, Bombardier Learjet 60 XR or the Gulfstream 150. Light jets offer a versatility not offered in larger aircraft. The light jet class offers the ability to land at much smaller airfields than its big sister ships. Offering unmatched speed by propeller driven aircraft, this is a good answer for intra-continental flight. This aircraft came onto the market in the 1960’s and has been a mainstay ever since. Well suited as business aircraft or private jets, some examples are Bombardier Learjet 40 XR, Embraer’s Phenom 300 and the Cessna Citation CJ1. Very light jets are the smallest of the fleet. Sometimes referred to as microjets or VLJ’s, these aircraft are especially well suited to landing at small community airports. The newest addition to the fleet, several models exist only as prototypes with production models only on paper. The VLJ has a maximum take off weight of 10,000 pounds. Some examples of this class are the Cessna Citation Mustang, Cirrus’ Vision SF50 and the Honda Hondajet. The ownership of any of these aircraft can be an expensive endeavor. For this reason, many of these are owned by a multiple companies or individuals. This relationship is called fractional ownership and lends itself well to the expense of hangerage, maintenance and staffing of this type of aircraft. This is true if there is little need for full time ownership by these companies or individuals. Maintenance can be an expensive part of aircraft ownership and the need to ensure that value is received for this cost. Covington Aircraft services and sells engines for corporate and business aircraft. We are a world-leading aircraft engine maintenance, repair and overhaul facility. Founded in 1972 in Tulsa, Oklahoma, located near the Tulsa (TUL) International Airport, they have developed core values of integrity, dependability, quality service and the lower prices. We know, after all, it is the bottom line that counts. A Pratt and Witney Canada certified distributor and designated overhaul facility, specializing in the PT6A turbine engine and R-985 and R-1340 radial engines, they can provide complete overhaul and repair services for corporate and business aircraft. To learn more about Covington Aircraft, please click here. To read more about various types of aircraft, visit their blog site by clicking here.